Click on the file to download. If it does not work, 'right click' on the file and click 'save target as...' to download the file you want. Or you can download the zip file at the end which contains all these files. - 6 ignition coils . 3 wires on the coil connector: 12v ign power, ground, ign signal. Check factory service manual. - ground wires. Ground all ground wires to the chassis ground. Ground sensor wires to chassis not ECU ground wires. - 12 v battery power, 12 ignition power. 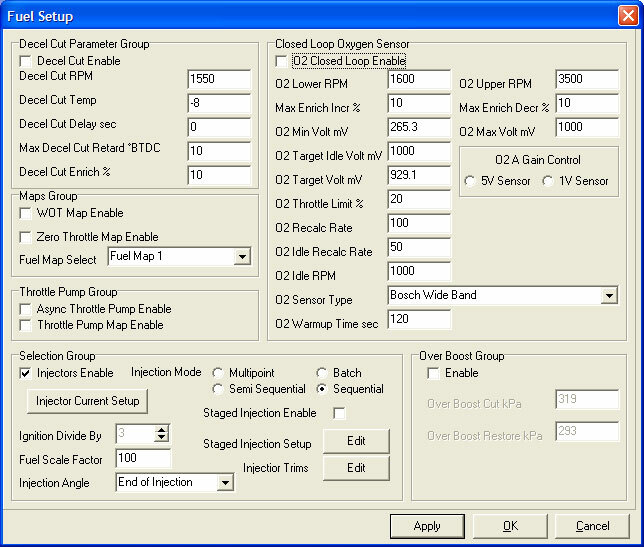 - fuel pump output directly to the fuel pump(s). 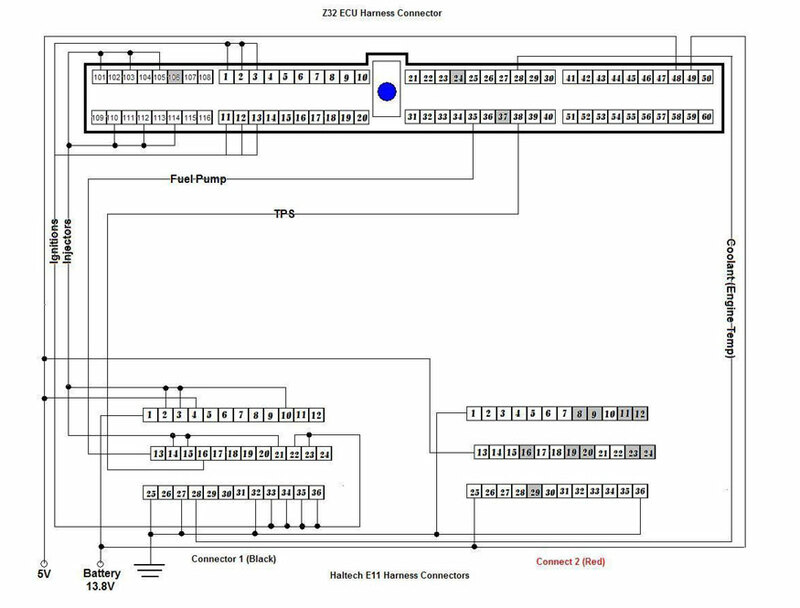 bypass stock pump controller. 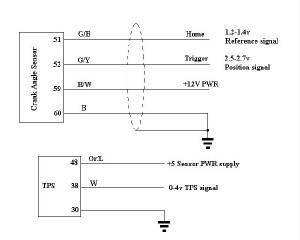 - CAS connection: check above diagram. 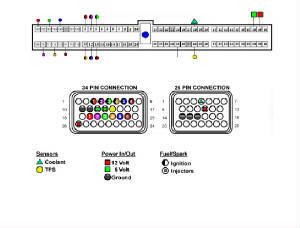 - TPS connection: check diagram. - MAP sensor: sensor power supply, ground, signal. Use a short vaccuum route for accuracy. VG30DETT is a 120 degree V6. Firing order is 1-2-3-4-5-6. Lock timing and set it to 15 degrees. Now with the fuel injectors disable, crank the car. 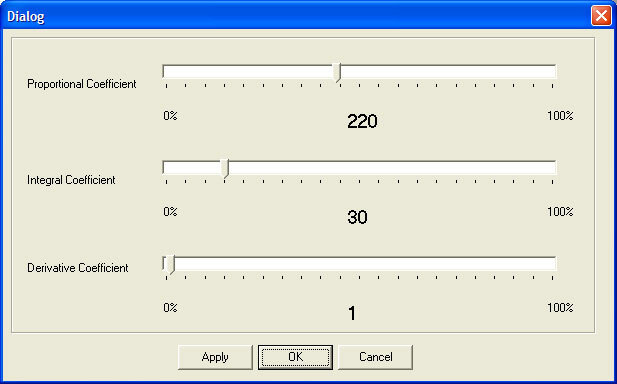 You should have good cranking RPM reading. It should be between 150-300rpm. If you don't get a good RPM reading and the starter is cranking, you have wired the CAS wrong. Swap out the 'home' and 'trigger' wires. You should get a good rpm. If not, the CAS is bad. 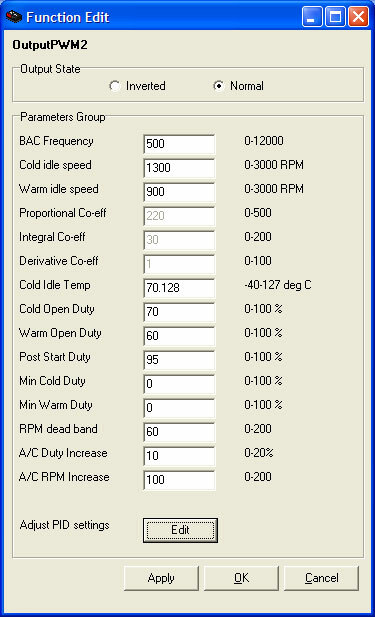 With a good rpm reading, crank the car while someone uses a timing light to watch the timing mark. The nissan home window has to set to 24. Tooth offset has to be greater than 24. 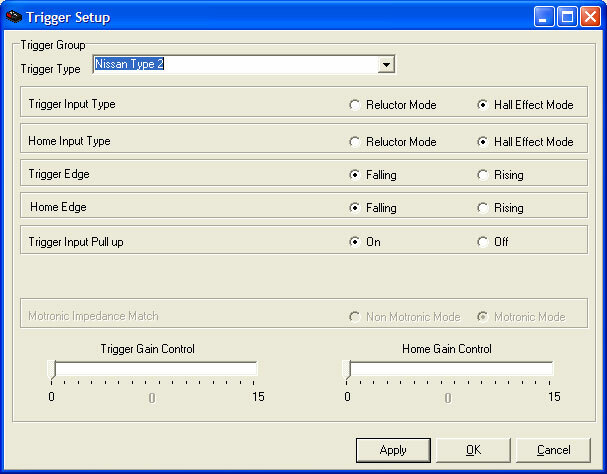 Adjust trigger angle for the timing mark to read 15. Once this is set, the timing is zero'ed out. The car is ready to start. 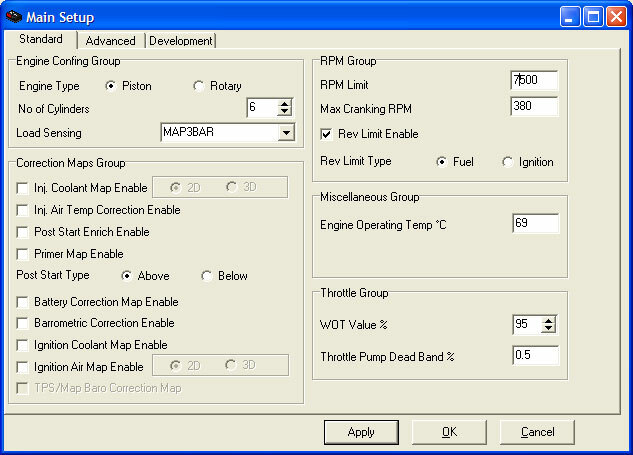 Enable fuel injectors, crank the car and adjust the injection time on the fuel map until the car starts. 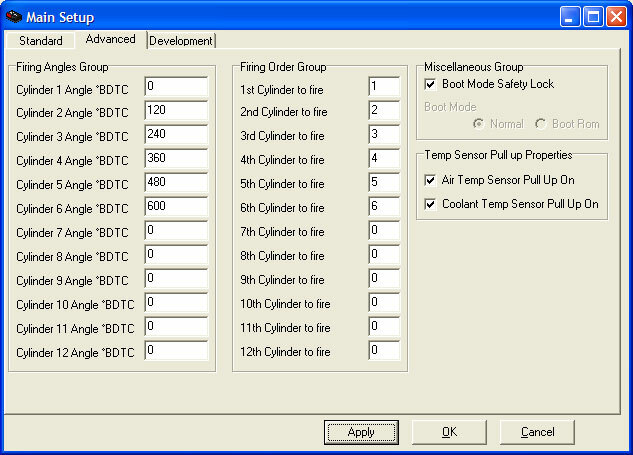 It will be very helpful if the car is equiped with a wideband O2 system. Adjust the inj time for the AFR to be close to 14.7 as close as possible. With 500rpm increment, rev the engine with no loads, adjust each segment to AFR 14.7. Repeat this to the rev limit. The lock timing should be unchecked. And timing map should be set conservatively. At this point, the car should idle fine and is drivable on the street. The car can be driven to the dyno to tune with load. By no means, the car can not driven under load (boost). The engine will detonate. The car needs to be tuned on the dyno first.